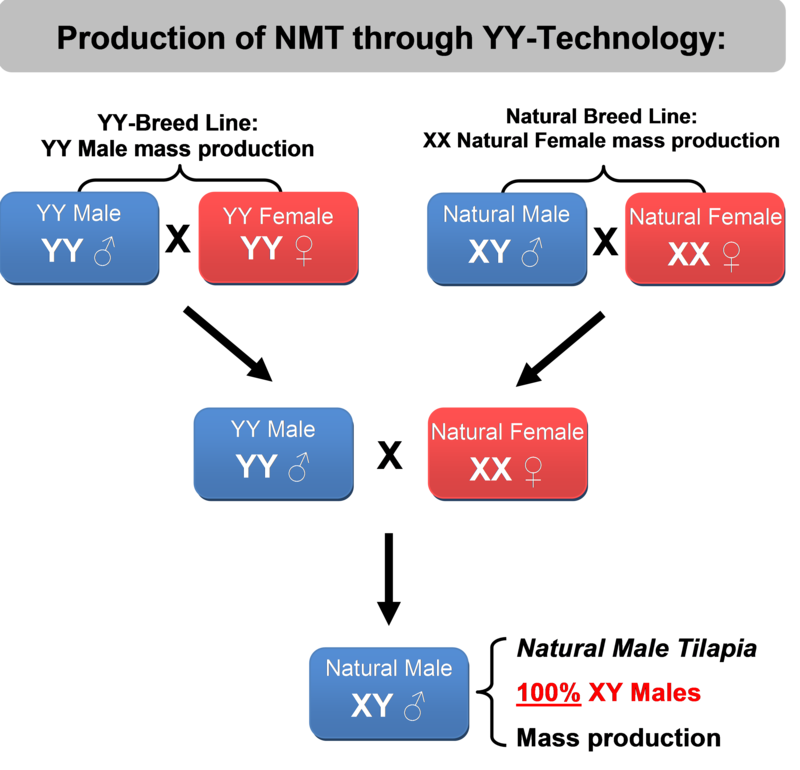 Since 1996 Til-Aqua International has been working on the development of YY-males and YY-females in tilapia for the production of all-male tilapia without the use of hormones; Natural Male Tilapia (NMT™). The various Til-Aqua female lines originate from two strains; Egypt and Philippine (gene pool Gift, Citralada, and more). For improving these female lines, family selection is applied to improve growth performance and physical appearance. 1 + 1 > 2 ! !